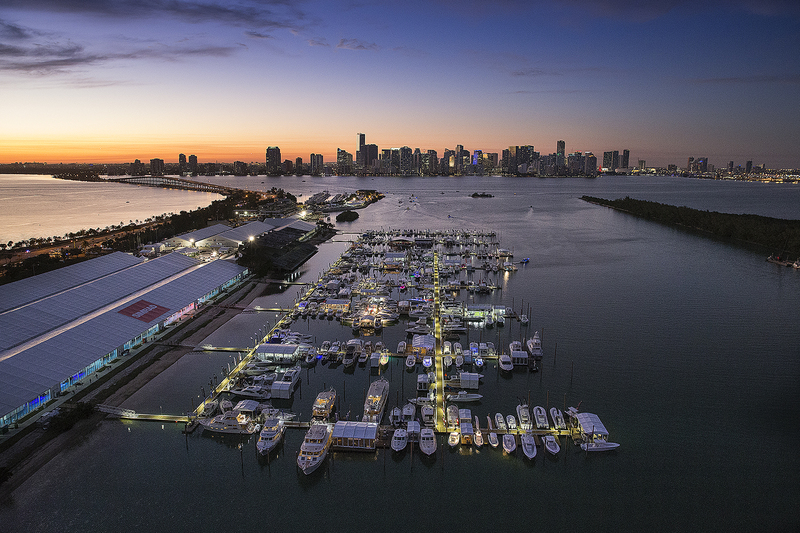 The Miami International Boat show attendees can avoid paying hunting for parking and lock in prices by booking now, the National Marine Manufacturers Association says. Click here to purchase parking on-line in advance and guarantee your space. The NMMA says on show days attendees can park in the garages dedicated to the show and take free shuttle buses to the entrance of the Miami Marine Stadium, which is on Virginia Key. The Strictly Sail show is moving this year from Bayside to Virginia Key as well. The Miami International Boat show also coincides with the Miami Yacht Show, which is moving this year from Collins Avenue on Miami Beach to the bayfront on the former site of the Miami Herald. Many of the parking garages for the Miami International Boat Show are also close to the yacht show. Ground and water shuttles will make it easy to go between the two shows. Boat show shuttle buses are available from parking garages at the following locations in Miami beginning at 8 a.m. for exhibitors on all show days, with continuous service returning from Miami Marine Stadium until 7 p.m.
American Airlines Arena, 801 Biscayne Blvd. Brightline Miami Garage, 601 N.W. 1st Ct. Historic Overtown/Lyric Theater Metrorail Station, 601 N.W. 1st Ct.
Bayfront Park and AAA Water Taxi service begins at 8 a.m. for exhibitors with a credential. Continuous service returning from the marine stadium will run until 7 p.m. Exclusive exhibitor boarding from 8 a.m.–9:15 a.m., and priority boarding throughout the day. Attendees coming from Fort Lauderdale or Palm Beach on the Brightline train to MiamiCentral will have a free shuttle bus from the train station to the show. 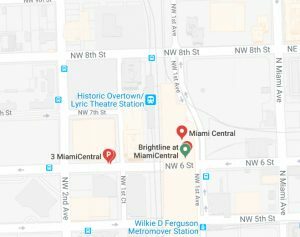 Another alternative is to take Metrorail to the Historic Overtown/Lyric Theater Station, which is next to the Brightline station and use the Brightline station shuttle. Show shuttle buses begin service at 8 a.m. on all show days and run continuously with return service from the marine stadium until 7 p.m. Service to the show will take approximately 15 minutes. Outbound service may take extra time depending on rush hour traffic. Brightline train service and Metrorail service will run until 11 p.m. or later. Get more details on exhibitor transportation here. 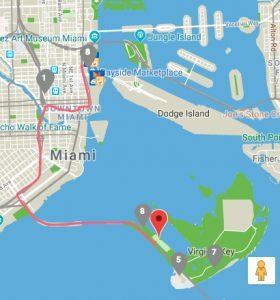 In a new move this year, the Miami International Boat Show is partnering with RaftUp to track water taxis and provide real-time trip time and status, plus useful show information and location guidance within the Miami Boat Show Connections App. The RaftUp Miami Boat Show Connection Application can be downloaded in the Apple/Google Play stores and is compatible with all Apple and Android devices. Exclusive Service Contractors — Contact information for show services.